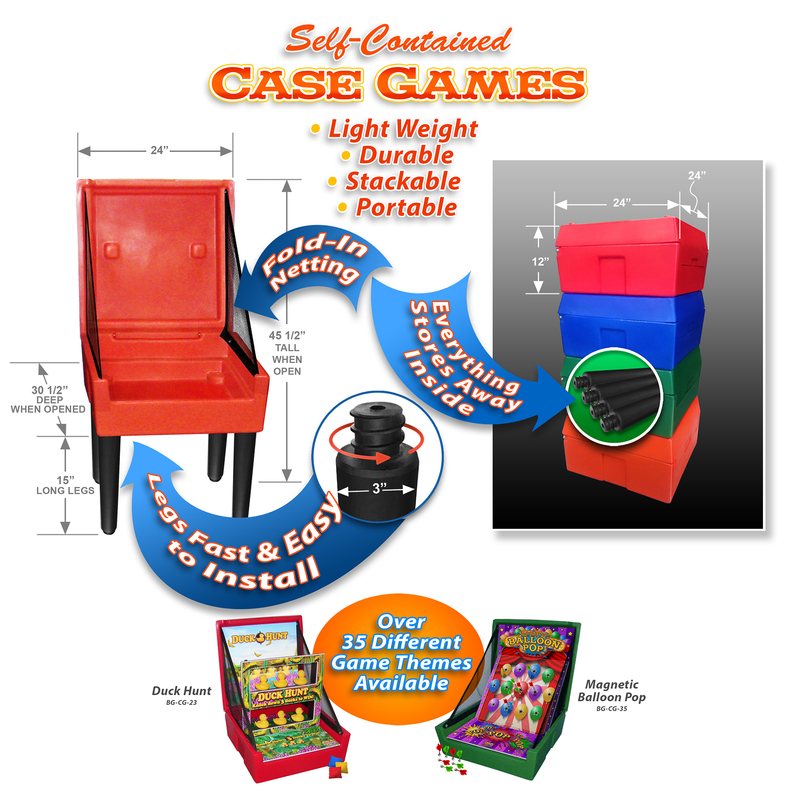 We are the leader in innovative portable carnival and midway games! All of our games are hand built to order and can be customized to meet your companies needs. Our games are great for parties, block parties, school festivals, church events, promotions, and marketing. They are made with high impact plastics and UV safe graphics for years of enjoyment and profitability. We take pride in producing high quality products with great customer service.